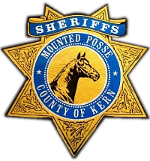 KERN COUNTY SHERIFFS MOUNTED POSSE, INC. The Kern County Sheriffs Mounted Posse is incorporated as a private non-profit organization subject to call at any time of the day or night by the Sheriff of Kern County to assist him in any and all emergencies or calamities in any way required; provided, however, that in all other respects, the Sheriff neither controls nor directs the Kern County Sheriffs Mounted Posse or any of its activities. The Sheriff may participate from time to time in the activities of the Kern County Sheriffs Mounted Posse for the benefit of the community and in the interest of goodwill. Should dissolution of the Kern County Sheriffs Mounted Posse be necessary, none of the assets of the organization will be distributed to its members. All assets at the time of the dissolution shall be donated to a worthy charity acceptable to the membership. unincorporated association, shall automatically become members of this organization. such member to the Secretary, at least ten (10) days before such meeting. Five (5) negative ballots shall reject such proposed new member. The applicant shall be required to have or purchase a horse, black saddle, gun and shall provide himself with current posse equipment and uniform. He shall be actively engaged or employed in the County of Kern, be twenty-one (21) years of age, a citizen of the United States and be of good moral character. standing may apply to the Board of Directors for a LIFE MEMBERSHIP, or; any active member having attained the age of seventy (70) years or older and having PAID DUES CONSECUTIVELY for fifteen (15) years and is in good standing may upon the payment of $250.00 apply for a LIFE MEMBERSHIP. The $250.00 shall be reduced by $25.00 for every year the active member has PAID DUES CONSECUTIVELY over fifteen (15) years. LIFE MEMBER shall have a vote and shall be privileged to attend meetings and other functions of the organization and shall be charged pro-rata the same as active members the cost of dinners and other functions he attends. LIFE MEMBERS shall pay Annual Dues in the same amount as regular members, minus the price of the monthly meeting dinners and shall receive notices of all meetings and other functions the same as active members and shall be listed on the roster. A life member may choose to pay half of this amount without having nominating and voting privileges. LIFE MEMBERS shall be classified the same as inactive and honorary members in regards to the Quota limiting the membership. If the above by-laws meet the approval of the membership it shall be retroactive as of January 1, 1998.
shall be privileged to attend meetings and other functions of the organization. become applicable for one year from date of his or her ride at their first Posse function. The number of members in this category shall never exceed 15% of the roster or 10 members, whichever is greater. (h) Limitation of Membership: Regular membership shall be limited to seventy-six (76) members. (i) Vacancy: If there be no vacancy when an application for regular membership is received, the name of the applicant shall not be immediately considered for election, but his name will be placed on a list known as the “unelected” waiting list in the order in which the application is received. When a vacancy occurs in the regular membership, the Board of Directors shall consider for approval (following the regular procedure for membership as set forth in the By-Laws) the name or names on the “unelected” waiting list in the order in which they appear thereon. obligation accruing after the initial ninety (90) day period and before date payment has been made. pays all such financial obligations in full, plus all past dues to date, he may then be reinstated. Revocation of Deputyship by the Sheriff automatically suspends Posse Membership. shall surrender his badge, car plates, commission, etc. to the Sheriff upon demand, or upon surrendering his membership in the organization. (b) Unless excused by the Board of Directors, each new member shall be required to attend all parades, meetings and regularly scheduled functions of the organization, for the first year. The Board of Directors shall, at their next regular meeting, review each absenteeism, and may revoke membership. The decision of the board of directors must be reported to the members, at the regular meeting. Uniforms shall be adopted by the members and shall be maintained in a clean, neat and orderly manner. Uniforms are to be worn only on official rides or at other formal meetings or assemblies, and may be worn by no one other than a member of this organization. The Secretary shall notify members when uniforms are required to be worn. Members participating in any authorized event shall be properly attired and equipped in designated regalia and his horse and equipment must pass inspection by the Captain or a designated alternate. members at the address supplied to the Secretary by the said members. Auditing Committee, shall be presented by the Treasurer. Subject to the limitations of the Articles of Incorporation, of these By-Laws, and of the laws of the State of California, all corporate powers shall be exercised by or under the authority of, and the business and affairs of this corporation shall be controlled by the Board of Directors. The authorized number of directors of this corporation shall be nine (9) until changed by amendment of the Articles of Incorporation or by amendment of this section, adopted by the vote or written assent of a majority of the members of the corporation. meeting and the immediate Past Captain who automatically becomes a director for the ensuing year. directors shall be two (2) years. No director shall succeed himself. At the December meeting first following the adoption of this section, six (6) directors shall be elected. The three (3) receiving the most votes shall serve for a period of two (2) years, and the other three (3) shall serve for a period of one (1) year. Any vacancy in the directorate, for any reason, shall be filled by a majority vote of the remaining directors, and each director so elected shall hold office until his successor is elected at a meeting of the members called for that purpose. Meetings of the Board of Directors shall be held from time to time as designated by the Captain, or during his absence, and in case of emergency by the Lieutenant. Regular meetings of the Board of Directors shall be held immediately prior to any regular meeting of the membership. No notice need be given of such regular meeting of the directors. A majority of Directors, as fixed by the Articles of Incorporation, or By-Laws, shall be necessary to constitute a quorum for the transaction of business. A majority of Directors, in the absence of a quorum, may adjourn from time to time, but may not transact other business. The action of a majority of the Directors present at any meeting at which there is a quorum, when duly assembled, is valid as a corporate act. The officers shall be a Captain, a Lieutenant, a Secretary and a Treasurer, the latter two of which may be combined in the discretion of the Board. The officers shall be elected by and hold office at the pleasure of the membership. The Treasurer, or Secretary-Treasurer, as the case may be is to be adequately bonded. A director may be removed only by secret ballot after proper notification and by the consent of a two-thirds majority vote of the membership present at a regular or specially called meeting. Any officer may resign at any time by giving written notice to the Board of Directors, to the Captain or Secretary, which resignation shall be effective as of the date specified therein, and acceptance thereof by the Board shall not be necessary to make it effective. members and of the Board of Directors. He shall be ex-officio member of all committees and shall have the general powers and duties of management usually vested in the office of President of a corporation, and shall have such other powers and duties as may be prescribed by the Board of Directors. floor at a regular meeting until the following meeting for further discussion or vote. The Lieutenant shall, in the absence of or disability of the Captain, perform and exercise the powers and duties of the Captain. The Secretary and Treasurer shall be selected by the Board of Directors. He shall keep, or cause to be kept, a book of minutes at the principal office of the corporation, or such other place as the Directors may prescribe, in which shall be recorded all meetings of Directors and members, with the time and place of holding, whether general or special, and if special how authorized and the names of those present at Directors meetings, and the number of members present at members meetings and the proceedings had and members taken therein. The Secretary shall be given by each member an address to which notices may be sent by mail and all meetings requiring notice by the Secretary shall be noticed by mailing such notices to the addresses so given the Secretary. The Secretary shall keep the seal of the corporation and affix the said seal to all documents requiring a seal. The Treasurer shall keep and receive all of the funds of the corporation and pay them out on the check of the corporation signed in the manner authorized by the Board of Directors. The Board of Directors shall constitute the executive committee of the Corporation. The Captain, as the occasion requires, appoints other committees and prescribes their powers and duties. The corporation shall maintain adequate and correct accounts, books, and records of its business and properties. All such books and records shall be open to the inspection of the members. All checks, drafts or orders for payment of money, notes or other evidence of indebtedness issued in the name of or payable to the corporation shall be signed or endorsed by such person or persons and in such manner as shall be determined from time to time by resolution of the Board of Directors. Any expenditure by the Board of Directors in excess of $500.00 shall be approved by a two-thirds majority vote at a regular or specially called meeting of the members. The Board of Directors may authorize any officer or officers, agent or agents, to enter into any contract or execute any instrument in the name of and on behalf of the corporation. Such authority may be general or confined to specific instances. Unless so authorized by the Board of Directors, no officer; agent or employee shall have any power or authority to bind the corporation. The corporate seal shall be circular in form and shall have inscribed then the name of the corporation, the date of its incorporation, and the word “California”. Motions to amend the By-Laws, either by members or directors, may be presented at any regular meeting of the membership and be voted upon at the following meeting of the membership. Notice of intention to amend and a copy of the proposed amendment shall be mailed by the Secretary to each member ten (10) days in advance of said meeting. Whenever an amendment of new By-Laws is adopted it shall be copied in the Book of By-Laws with the original By-Laws in the appropriate place. If a By-Law is repealed, the fact of repeal, with the date of the meeting at which the repeal was enacted, shall be recorded in said book. To amend the By-Laws a two-thirds majority vote of the membership present at a regular or specially called meeting is required. effective after approval by the membership. meetings shall be applied to all dues-paying members. acquiescence and any assessment levied to cover the event will be charged to him.